Unless you leave food out and attract them, humans rarely have a need to think about ants. They’re tiny, not poisonous and not particularly terrifying, like say, spiders. However, they far outnumber humans on earth–by one million to one! Funnily enough, they are also roughly a millionth of a human in size too. 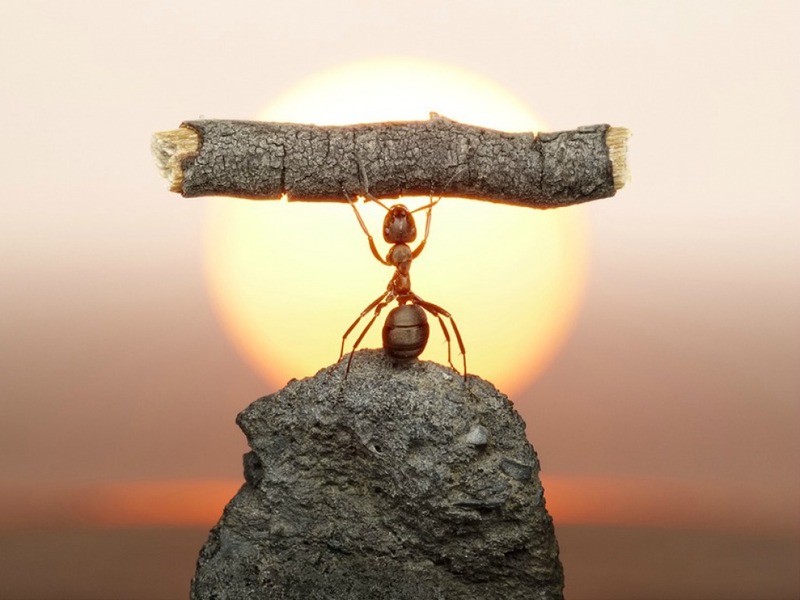 Do the math–the total weight of all the ants on earth matches the total weight of the entire human population. There are 10,000 different types of ants and they’ve been around for a long time. Ancients ants have been discovered in fossilized sap from 100 million years ago! Over time, ants have changed very little. Their way of life and survival is successful. Some scientists attribute this to their unselfish ways. Ants live in colonies and bring their prey back to their many relatives to share.